JEECUP 2019 – The window for editing details in the JEECUP 2019 Application Form has been opened. The aspirants can edit details in the UP Polytechnic 2019 Form till April 07, 2019. The JEECUP 2019 exam date has been rescheduled to May 26, 2019. 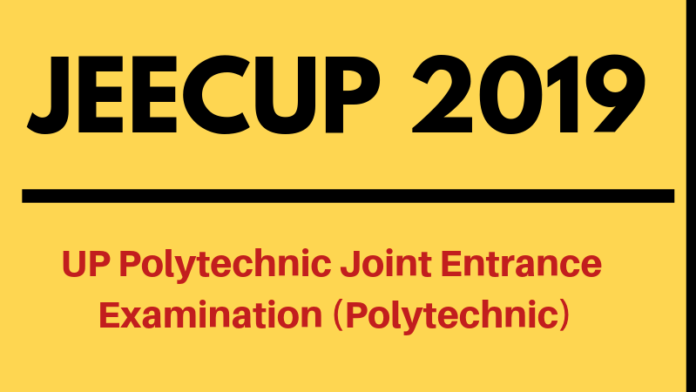 The UP Joint Entrance Examination (JEE) Polytechnic is a state level entrance exam conducted by the Joint Entrance Examination Council, Uttar Pradesh. 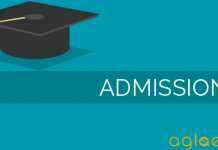 It is a pen-paper based test conducted to offer admission in various Diploma/ Post Diploma/ PG courses. 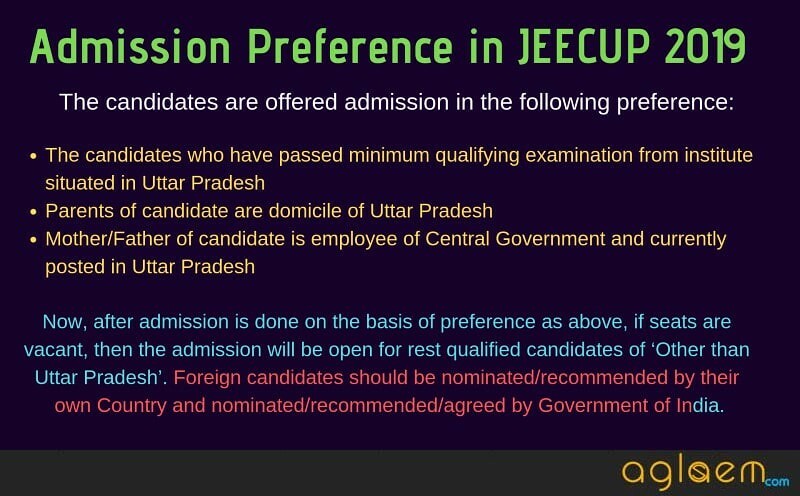 Candidates can check more details on JEECUP 2019 from this page. Latest: Last date to edit details in JEECUP 2019 Application Form is extended. Edit Form Here. The application form for JEECUP 2019 has been released online. The application process for JEECUP 2019 is a 5-step process which includes Registering for the exam, Filling in details in the JEECUP 2019 application form, Uploading images in the JEECUP Form, Payment of Application fee and taking a print out of the Confirmation page. No offline application form for JEECUP 2019 is available. At the time of registering for JEECUP 2019, the aspirants need to choose an ID proof and provide its relevant details. It is also advised to the candidates to keep at least 10 copies of the photograph which you will upload in the JEECUP 2019 Application Form. The last and final step of the Application process is to pay the requisite amount of the Application fee. The candidates need to pay the application fee as per their category. Check it from the table below. Rs. 300 for General and OBC Candidates. Rs. 200 for SC and ST Candidates. Mode of Payment: The students can pay the following amount of the JEECUP 2019 Application Fee by either Online mode using Net banking/ Credit card/ Debit card or through e-challan generated during the online filling of the application form. The candidates who wish to appear for the entrance examination must ensure that they fulfill the eligibility criteria. Though the eligibility condition is not verified at the time of registration or at the time candidate appear for the test, however, if a candidate qualifies the UP Polytechnic 2019, the eligibility criteria is then verified. Check the complete eligibility criteria for JEECUP 2019 from below. There is no age limit for the candidates to appear for JEECUP 2019, however, the candidates must be minimum 14 years old as on July 01, 2019. Education Qualification: The candidates can check the minimum education qualification, for all the Groups of JEECUP from below. Those who will be appearing for the qualifying examination in the year 2019 are also eligible to apply. 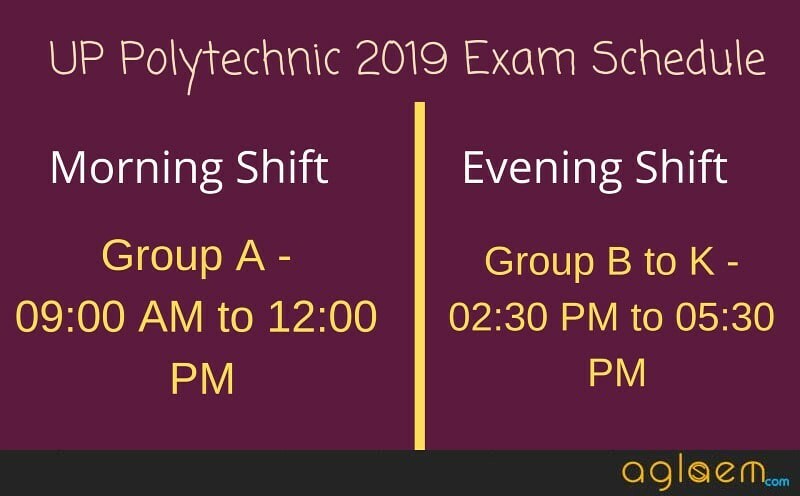 Students who are appearing in the qualifying examintion in the year 2019 can also fill the UP Polytechnic 2019 Form. Students appearing in the Qualifying examination in the year 2019 can apply for UP Polytechnic. The students must have passed class 12th examination with Physics, Chemistry as compulsory subject with Math/ Biology (Zoology and Botany). There are no minimum eligibility criteria for Group K6 and K7. Note: Those candidates who will be appearing in the final qualifying examination in the yeat 2019 or final year examination of degree programme are also eligible to apply for JEECUP 2019. First Year Subjects Criteria – Apart from the criteria above, the candidates appearing for K1 to K8 Group must have also passed following first-year subjects within scheduled period. Click here to download reservation proforma for EWS. Click here to check the group-wise eligibility criteria. 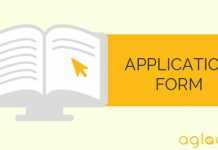 Click here to check Economically Weaker Section eligibility criteria. The Council will provide an opportunity for the candidates to check the status of acceptance of their JEECUP 2019 Application Form. The candidates shall be able to do so through the Candidate Login by entering the details provided at the time of Registration. It is important that the candidates should check that whether their application form has been accepted or not, to avoid any blunders. If the status is showing a message “Not Accepted”, the candidates must review their complete application form and edit the details, wherever necessary. The opportunity for checking the JEECUP Application Form Status will be available for a limited time only. The exam conducting body is going to provide the edit/ modify the details in the UP Polytechnic 2019 Form. The window for JEECUP 2019 Application Form Correction will be open for a limited time period of three days only. The aspirants will be able to edit their details through their Candidate Login. The JEECUP 2019 Form Correction is a one-time opportunity which will be open for the candidates. The aspirants shall not be able to edit some detail(s) in the UP Polytechnic Form 2019. The aspirants have to make corrections in the UP Polytechnic 2019 Form by online mode. Request to edit details submitted by email/ fax/ or any other mode is not accepted. In addition, the aspirants shall have to pay an additional amount for JEECUP 2019 Application Form Correction. The applicants shall have to pay the fee for editing details in the Application Form by Online mode. For preparing for the UP Polytechnic Entrance Exam, you must be familiarised with its exam pattern. Check it below. Mode of Examination: The exam will only be held in offline mode. Language of the Question Paper: The question paper will be presented in Hindi, as well as, English Language. Types of Questions: All the questions in the examination will be of Objective Type. The subjects and questions distribution for the paper of each Group is as given below. Group A, B and C Syllabus – The questions for Group A will be on the basis of UP board Class 10th syllabus of Physics, Chemistry and Mathematics subjects. Refer to your textbooks for studying. Group D and E, G, H, I, J and K Syllabus – Other than class 10th, include Class 12th syllabus as well. Group F Syllabus – The questions shall be as per the standard of B.Sc academics. How To Prepare for UP Polytechnic 2019? Before preparing for any entrance exam it is important that you must know the exam pattern and its syllabus. Try not to leave any topic or subject just because it is a bit tougher or it is your weak area. Work Harder on the subjects or topics which are hard for you. Since strong subject areas easy to work on, it is important that you should focus on all the subjects. Divide your time, so that it is easy for you to concentrate. Pick up a topic from one subject, give that topic maximum 4 hours, then start another topic from another subject. Give 2-3 hours for revision. Take Online Test series, you can check how well your preparation is going on. However, before taking the online test series, you first must finish the syllabus. Do not study from too many resources. First, clear your concepts from the textbook and study from only 1-2 guidebooks. This much outside resources will be enough. Try different test series, then stick to the one which is more easily accessible to you. Make separate notes of the formulas or important points, so you can revise them in the last few days of the exam. Here we have given a list of books which can help you in preparing for JEECUP 2019/ UP Polytechnic Entrance Exam 2019. The UP Polytechnic Admit Card consists of details of the exam such as date, timings, the address of the test center, etc. It is mandatory for the candidates to carry the print out of the JEECUP 2019 Admit Card on the day of the entrance examination. Along with the JEECUP Admit Card, the aspirants need to bring along other necessary documents like a valid id proof, photograph, etc. The answer key for JEECUP 2019 is going to be released by the exam conducting body on the day of the declaration of the Result. However, before the aspirant gets a hold on the Official Answer Key, some coaching institutes shall also publish the JEECUP 2019 Answer Key and Question paper. The Unofficial answer key which is published by the Coaching Institute like Shakti Coaching, etc. The official answer key for JEECUP 2019 shall be accessible through the Candidate Login. The official answer key will be released for each group separately. With the release of JEECUP 2019 Official Answer Key, the candidates will also get an opportunity to submit an objection in it. The candidates can raise an objection in the UP Polytechnic Answer Key 2018 as per the schedule. 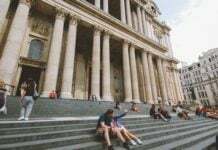 Along with the objection, the candidates also have to submit the required fee and relevant proof in response to the challenge submitted by them. Last year, the aspirants had to submit an amount of Rs, 100 per objection raised by them. It is expected that the candidates shall have to pay the same amount as last year. The applicants shall be able to pay the amount for submitting the Objection by Challan. The Council will announce the result for JEECUP 2019 online at its official website. To check the result, the aspirants need to log in by entering details such as their Roll Number and Date of Birth. The result will consist of the actual score obtained by the Candidate and the status of those who qualify for appearing in the counseling. Other details which shall be given in the JEECUP 2019 Result shall be roll number, the name of the candidate, parent’s name, category, gender, state, date of birth, etc. The exam conducting body will publish a details notification regarding the counseling process for JEECUP 2019. Only those who qualify the entrance examination are eligible to appear for the JEECUP 2019 Counselling. The shortlisted candidates will have to submit the choice of the course/ college as per their rank. The candidates are offered a seat based on their choices, reservation and State Open Rank of UPJEE (P) 2019. At the time of Seat Allocation Process, the candidates shall also have to carry the relevant documents in proof of Date of Birth, Academic background, Category, etc. The candidates can check the rest of the list of the Participating Institutes for JEECUP 2019 from below. The seat matrix for the academic session 2019 will be available after the declaration of the result. Till then the candidates can check the seat matrix of the previous year from below. JEECUP 2019 Information Brochure – Click Here to download it. If you have any question about JEECUP 2019, then let us know in the comment section below.